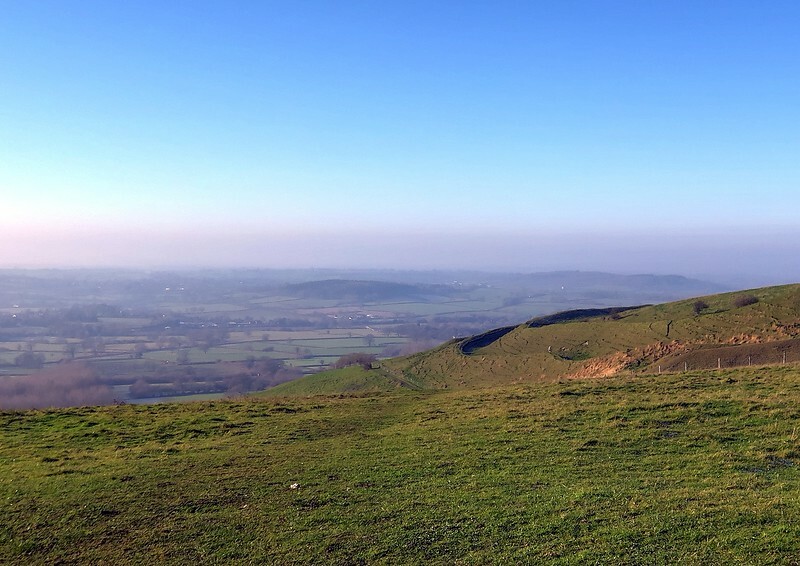 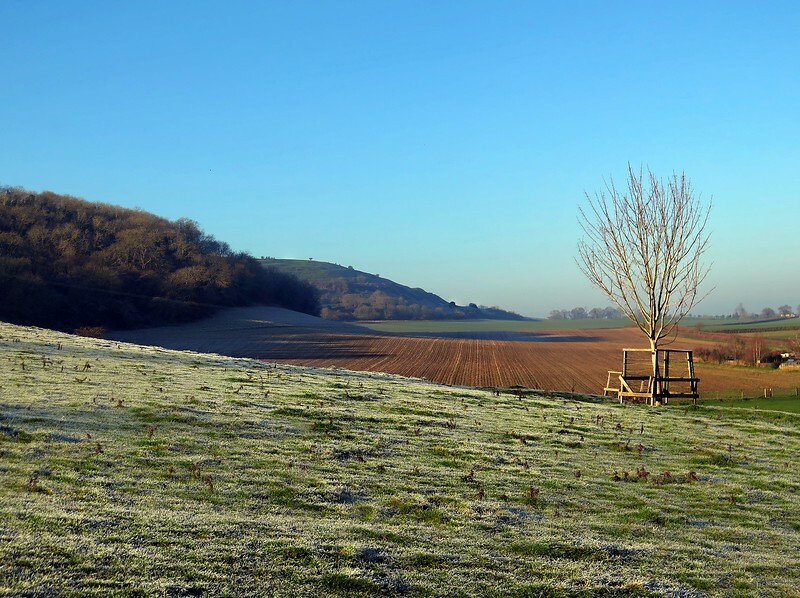 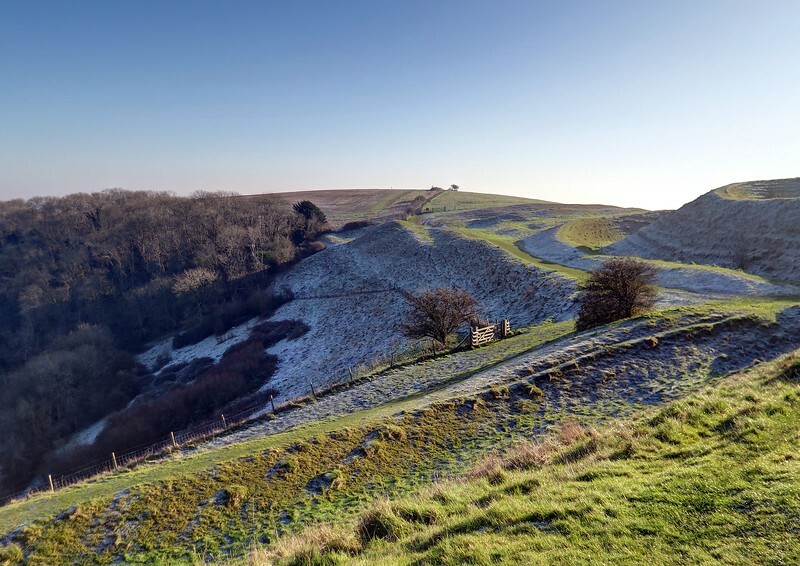 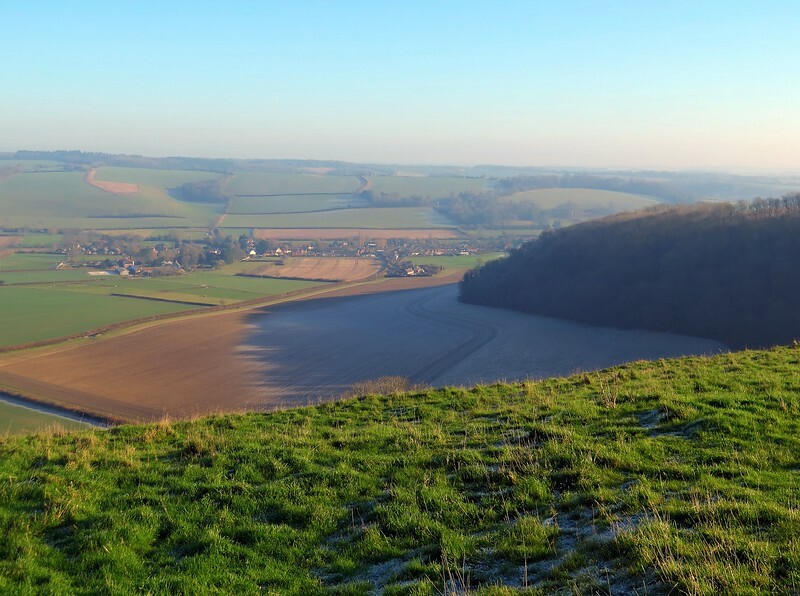 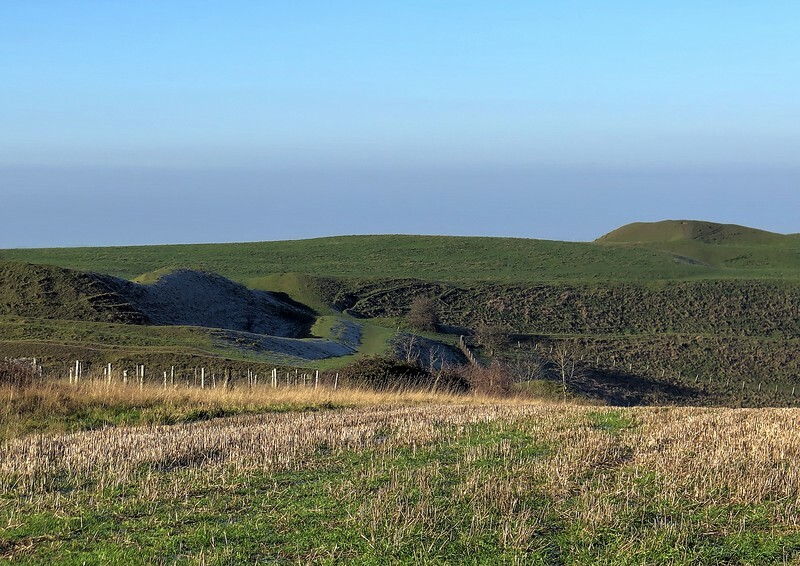 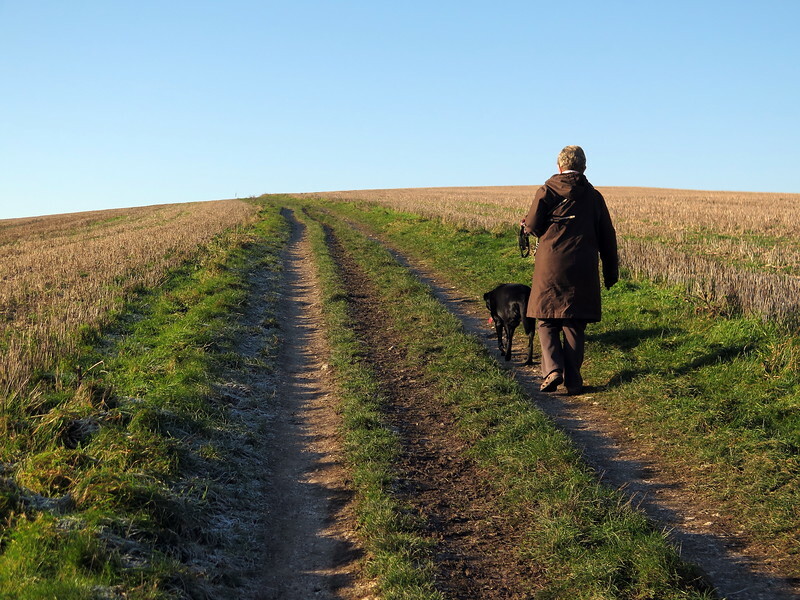 On a beautiful calm frosty morning under gin clear skies we went to Iwerne Courtney, Dorset, for a relaxing stroll up to the nearby Iron age hill fort of Hambledon Hill. 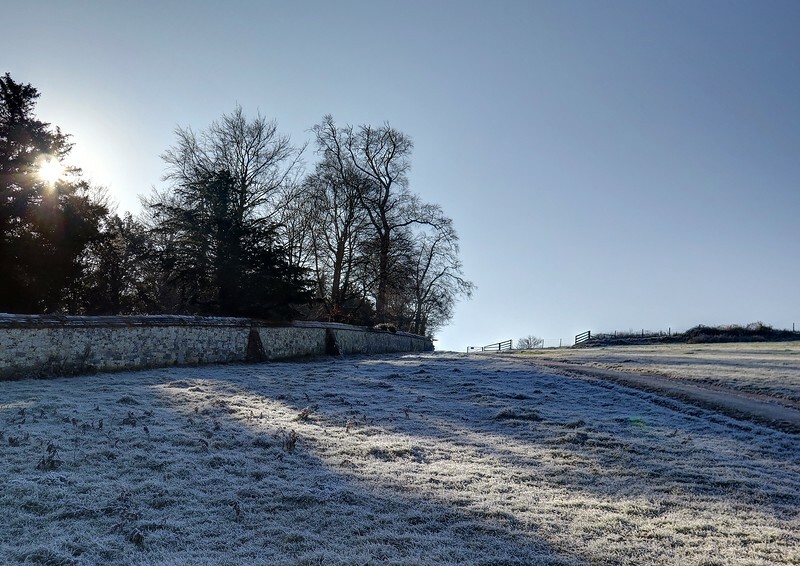 A heavy hoar frost lay on the grass and looked a little like snow. 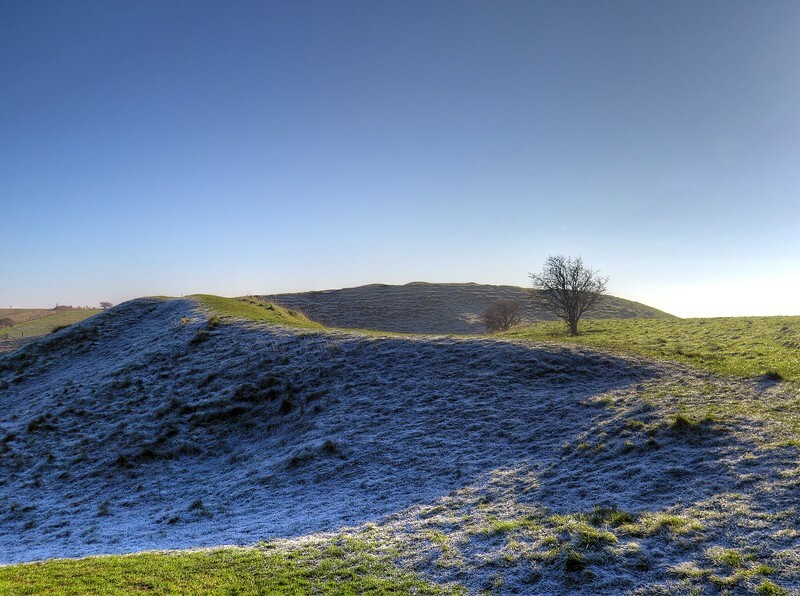 Some of the many humps and bumps on the hill date back to neolithic times. 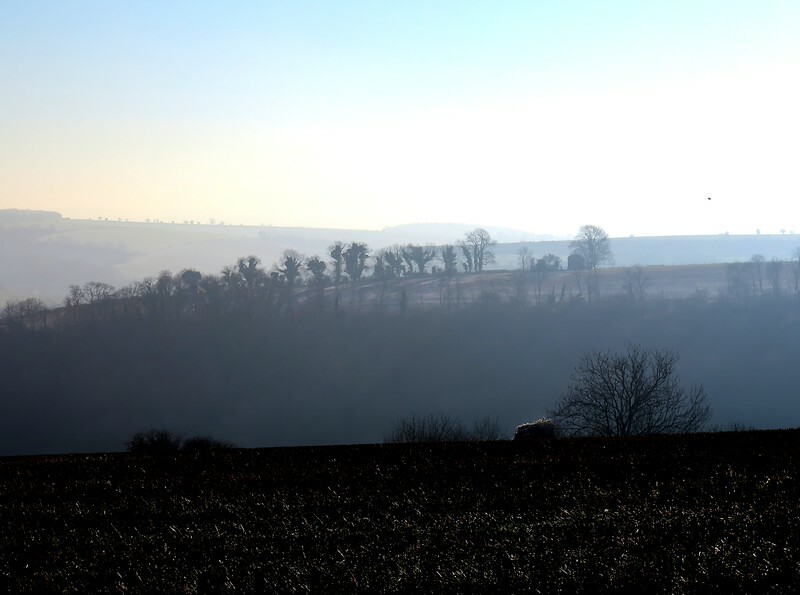 Unfortunately the haze on the horizon limited the view. 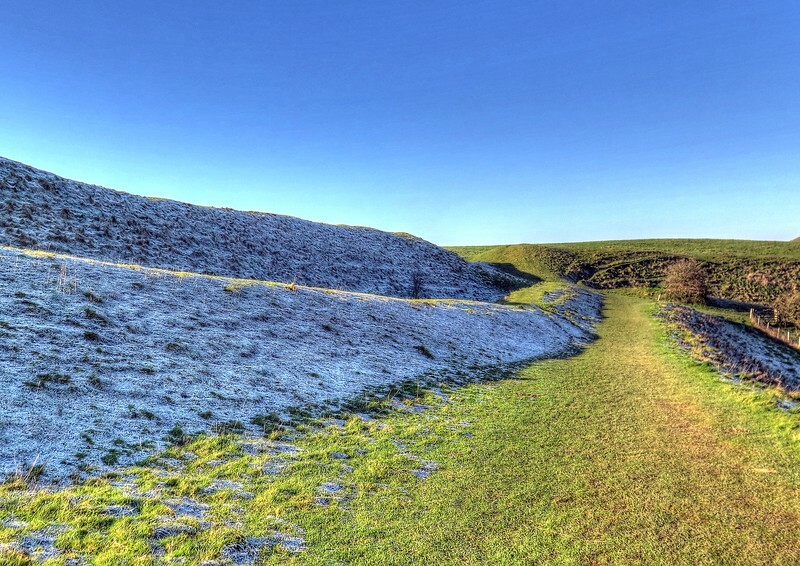 Frost lingers in the shady hollows. 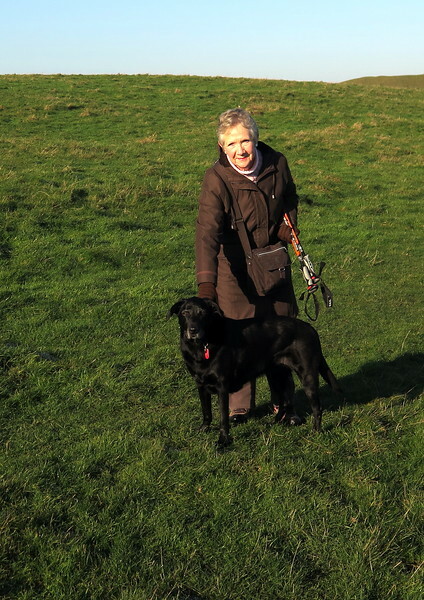 Poor old Lucy was beginning to tire by now; her hip arthritis is becoming a problem for her. 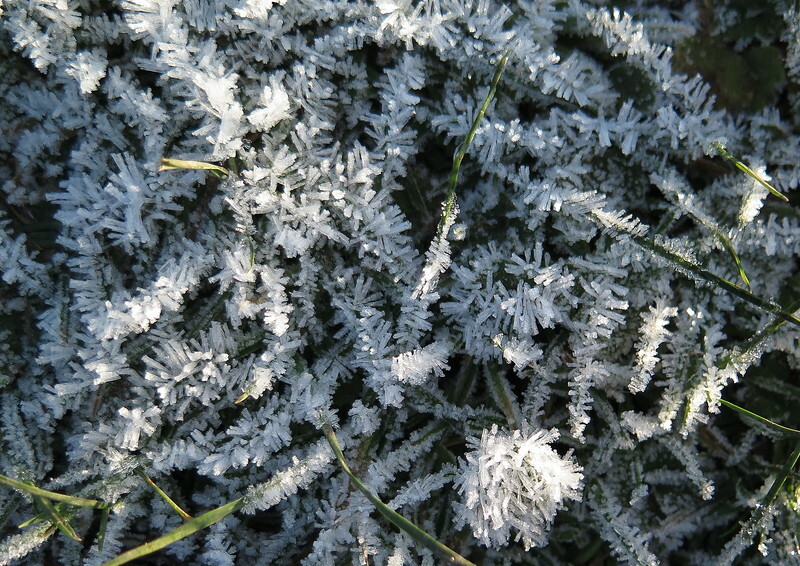 A close-up of the frost on some sheltered grass. 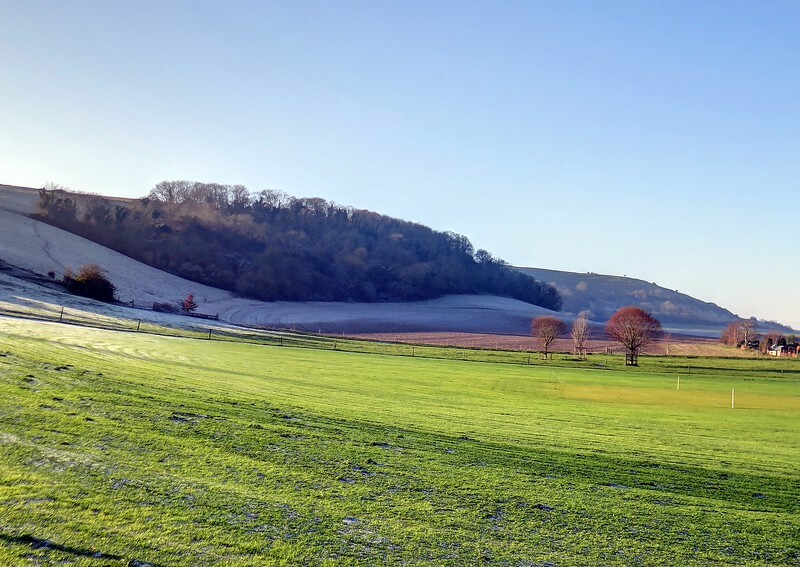 The view of the fort across the sloping Iwerne Courtney cricket pitch - note the generous slope up to the left!